“Maps the digital networks of sexuality and gender that utterly redefine feminism. A brilliant surf through the digital landscapes of desire as they morph the gaze for transnational exchanges. An intellectually and artistically edgy tape by one of the most important visual artists working the politics of the analog/digital divide." Patricia R. Zimmermann Author, "States of Emergency: Documentaries, Wars, Democracies"
"'Writing Desire' is a short, experimental video that documents the traffic in internet brides. By showing how women are deploying the web to market themselves and express their desire (for a good home, for love, to escape poverty), the video functions as a sort of trompe l'oeil that unsettles categories such as love and desire that generally go unquestioned." More recently she turned to ecology, oil and water with major art projects including Black Sea Files (2005), Egyptian Chemistry (2012) and Deep Weather (2013). 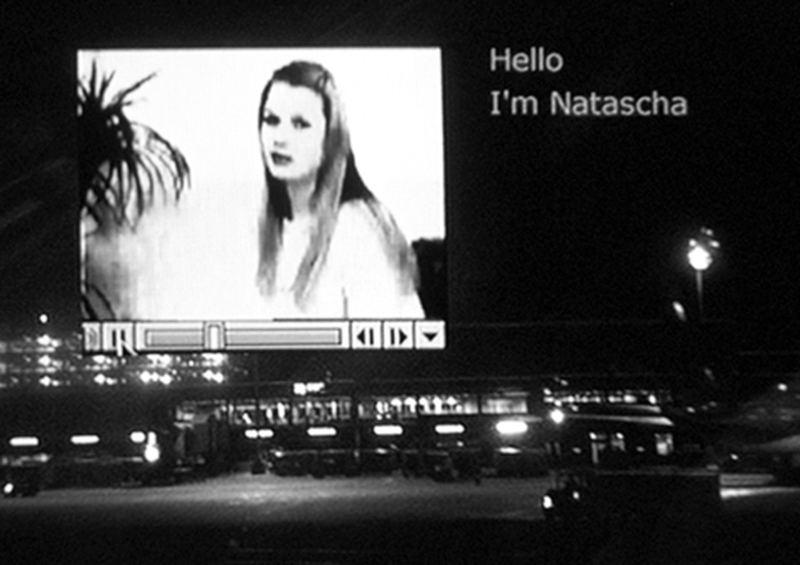 Her video installations are exhibited worldwide in museums and the International Art Biennials of Liverpool, Sharjah, Shanghai, Thessaloniki, Sevilla, Istanbul, and Venice. Her research is based at the Zurich University for the Arts and she is publisher of several books, e.g. "Stuff it" the Video Essay in the Digital Age (2003), Mission Reports - Artistic Practice in the Field (2008). She is currently working on a new piece on the Ecuadorian Amazon, commissioned by Broad Art Museum at Michigan State University. Ursula Biemann's book entitled, "Been There and Back to Nowhere: Gender in Transnational Spaces"